Browse and add your favourite items by clicking on the start icon. Stylish, fashionable and practical, in short, three reasons we love this set! Short denim dungarees with pineapple sequin embellishment worn over the top of a mutli-coloured longsleeved top. Finished off with glittery jelly sandals. 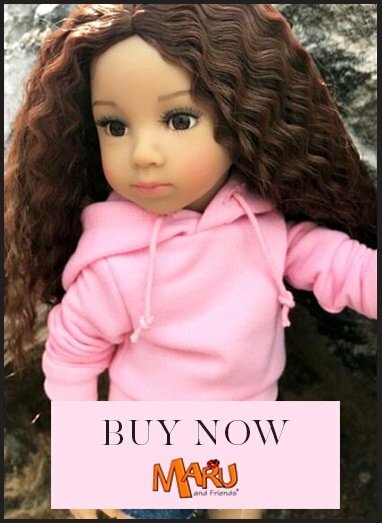 Made to fit 45-50cm standing Gotz dolls, XL. Order Value under £100 is £3.99 : 4-5 day service, but this is often 48 hours. Express delivery UK is £6.75 : 1-2 day service, but this is often next day. Please order any items you would like on the website, and the shipping cost will be calculated based on the weight of the goods in your basket at checkout. Delivery charges will be stated clearly and prominently on the checkout page before you place your order. Delivery charges do not include customs or import duties for which the customer is separately responsible. The shipping services we commonly use for sending parcels overseas are Royal Mail, DPD and DHL. We also have a slower bulky service for large international orders. Please ensure that the English alphabet is used for billing address, shipping address and matches the billing address of the method of payment. We cannot process orders in a non-English alphabet or language. We're sorry doll furniture cannot be shipped internationally. PLEASE NOTE, THAT THE BELOW TIMETABLE IS ACCURATE FOR MOST OF THE YEAR, AND FOR THE PRE-CHRISTMAS PERIOD OR AT TIMES OF BAD WEATHER IT IS NECESSARY TO ALLOW EXTRA TIME. WE RECOMMEND AT LEAST ANOTHER 5-7 BUSINESS DAYS.